You are planning a trip to California and want some fun things to do in Napa Valley. Since Napa Valley is wine country, one of the must-do things to consider during a visit to the area is touring the vineyards and the wineries, as well as sampling and tasting wines when there’s a chance. Marveling at the gorgeous scenery is another thing to do there. You will be most likely to do these things again on your next vacation in Napa Valley — this time with your whole family – so it should be decidedly more fun! Napa Valley is primarily a wine country, so at first you may not think of it as the ideal place for a family vacation. Wine country doesn’t seem to be a fitting holiday destination for kids. But you would be mistaken! The wine region can also be a family-friendly place, with venues and activities geared especially for the whole family. Your children will definitely enjoy many things that Napa Valley offers while you can continue your interest in wine tours and wine tastings. There’s no better sight than a happy family eating and enjoy food together in beautiful scenery like in the Napa Valley. The wine region is dotted with many restaurants and local cafes that will have something for your children’s often finicky palate. You will never run out of options where to take your family for a breakfast, lunch, or even dinner. While the adults enjoy sipping wines while dining, kids will enjoy fresh sweet grape juice, smoothies and other fruit juices. Children can enjoy burgers, fries, brick-oven cooked pizzas, sandwiches, freshly baked pastries as well as delectable chocolates, gelatos and other sweets while their parents enjoy “adult” meals like blue cheese flatbread with amazing Kobe steak, paired with the finest Pinot Noir. Families can rent bikes and pedal their way through the foothills and through the vineyards. They should also consider viewing the awesome Old Faithful geyser in Calistoga – the wait may be long for the hot water to blow, but once it does it will surely be worth it! Experience hands-on science and fun with the whole family at the Scientopia Discovery Center and spend extra fun hours at the Playground Fantastico (or Fantastico Park). Go swimming, boating/kayaking, or fishing at Lake Berryesa, and take your kids to private ranches where they can play soccer and even pet farm animals while you prepare a picnic. A hot air balloon ride would also be a fantastic activity that will surely be a great enhancement to your traveling experience with your family. Since you’ll be bringing your children along, the most important consideration for you is safety. Many children like to imagine that they’ll fly like their superheroes, while some are hesitant because of the height. But if you choose Balloons Above the Valley (BATV), you and your family will be in good hands. Your children will imagine themselves being in a fantasy adventure as the basket slowly lifts off. They will excitedly describe the neat rows of grapevines that look like their own quilted blankets. Trees, shrubs and mansions that dot across the vineyards will appear as toy trees and houses. These sights will leave you and your kids wide-eyed in wonder. In order for your children to be qualified for a hot air balloon ride, they should be at least 40 inches tall; although we recommend that your kids should be at least four feet tall to be able to see over the side of the basket. 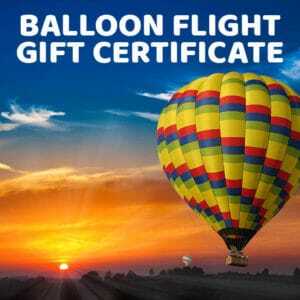 Balloon flights are generally gentle because they simply move by the wind’s direction. So it feels like you’re “sailing.” While you know where your hot air balloon launches, once you’re up in the air you will have no idea where you’ll be landing, which adds to the adventure! However, you don’t have to worry because our pilots are fully experienced and have flown many hours. They will guide you to land at the safest spot possible. Balloons Above the Valley is proof that the Napa Valley can be a top destination for the whole family. Planning your next vacation and looking for fun things to do in Napa Valley with your kids? Include a hot air balloon ride in your plans and you and your children will never regret it!